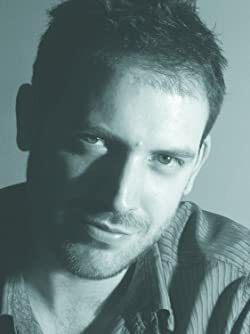 Joe Abercrombie (born 1974) was educated at the all-boy Lancaster Royal Grammar School, where he spent much of his time playing computer games, rolling dice, and drawing maps of places that don’t exist. He studied psychology at Manchester University and became a freelance film editor. 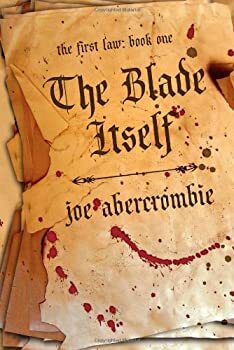 After writing his first fantasy novel, The Blade Itself, Joe became a finalist for the John W. Campbell award for best new writer. He lives in Bath with his wife and daughters. Here’s Joe Abercrombie’s website. CLICK HERE FOR MORE STORIES BY JOE ABERCROMBIE. The First Law — (2006-2016) Publisher: Logen Ninefingers, infamous barbarian, has finally run out of luck. Caught in one feud too many, he’s on the verge of becoming a dead barbarian — leaving nothing behind him but bad songs, dead friends, and a lot of happy enemies. Nobleman, dashing officer, and paragon of selfishness, Captain Jezal dan Luthar has nothing more dangerous in mind than fleecing his friends at cards and dreaming of glory in the fencing circle. But war is brewing, and on the battlefields of the frozen North they fight by altogether bloodier rules. Inquisitor Glokta, cripple turned torturer, would like nothing better than to see Jezal come home in a box. But then Glokta hates everyone: cutting treason out of the Union one confession at a time leaves little room for friendship. His latest trail of corpses may lead him right to the rotten heart of government, if he can stay alive long enough to follow it. Enter the wizard, Bayaz. A bald old man with a terrible temper and a pathetic assistant, he could be the First of the Magi, he could be a spectacular fraud, but whatever he is, he’s about to make the lives of Logen, Jezal, and Glotka a whole lot more difficult. Murderous conspiracies rise to the surface, old scores are ready to be settled, and the line between hero and villain is sharp enough to draw blood. 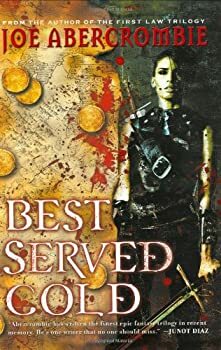 By setting The Blade Itself (2006), the first book of his FIRST LAW series, in a well-built world and filling it with interesting, "gritty" characters, Joe Abercrombie creates a good balance of stage-setting and story-telling. The story is told from the perspective of five major characters who are gradually drawn together and whose collected experiences create an engrossing tale. There is the mage, the apprentice, the barbarian, the gifted young noble, the crippled anti-hero... and so forth. Abercrombie writes engaging characters — perfect for my personal tastes. I particularly think that Sand dan Glokta, the Inquisitor, is an amazing character. Before They are Hanged (2007) begins just where The Blade Itself left off and continues the stories of Logen, West, Jezal, Ferro, Bayaz, Glokta, and company. Expect more of the same in this novel: brutal fighting, sickening torture, nasty politics, ruthless characters, and barbarian grammar. 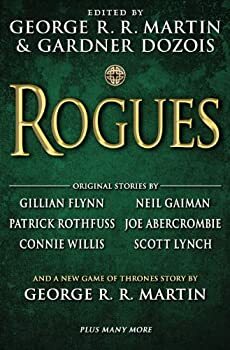 This recipe mostly works — the plot is interesting, the pace is fast, there's a bit of humor, and the characters are well-developed and continue to grow. I certainly enjoyed the story. There were a few things, however, that keep me from giving this novel (and the series) "favorite" status. Say one thing for Kat Hooper, say she's a weak-minded sucker. She really enjoyed the first two books of Joe Abercrombie's THE FIRST LAW trilogy. 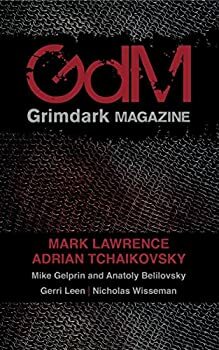 This story was original, had a unique style, fascinating characters, and a darkly cynical style. She liked it. It was fresh. But she was kind of hoping, even daring to expect, that the last book, Last Argument of Kings (2007), might have an ending that was, if not perhaps exactly happy, at least somewhat satisfying. 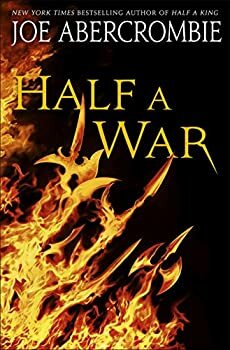 Joe Abercrombie is the new master of dark, gritty, realistic fantasy, and Best Served Cold might well be the masterpiece that represents that subgenre. Monza Murcatto is a renowned and very successful mercenary … or was until she was stabbed, beaten, and thrown from a mountainside by her employer. Monza wants revenge, so she contracts a party of unsavory characters to aid her. Monza’s story goes from dark to black to “a wet match in the bottom of a dark cave” — everyone suffers, lots of people die, and the trail of blood and tragedy that Monza leaves in her wake is unprecedented. The Heroes is another story set in the same world as Abercrombie’s First Law trilogy. 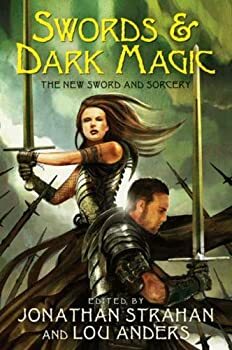 Veteran readers will be happy to be reacquainted with several characters from earlier books: the wizard Bayaz; the dishonored warrior Bremer dan Gorst; Finree dan Brock, Union Commander Marshal Kroy’s ambitious daughter; Black Dow, the ruthless leader of the Northmen. But if you haven’t read any of Abercrombie’s books yet, don’t worry — you don’t need to have read them in order to fully enjoy The Heroes. 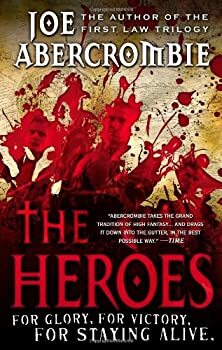 As a fan of Joe Abercrombie’s other books, such as The Heroes, Red Country was a must-read for me. 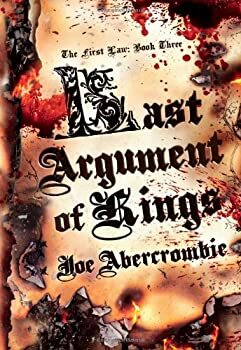 Even though I had no idea what Red Country was about, or how it might be related to his previous stories, it didn’t really matter because I was certain that Joe Abercrombie would entertain me. Red Country feels almost like a Western in the way that the towns are laid out — there’s a quasi general store and a the local saloon, for example — and I was starting to wonder if Abercrombie was breaking away from his usual setting. 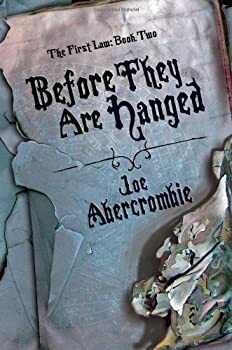 But the conditions, as in all of Abercrombie’s other stories, are pretty rough, and so very realistic. Red Country has a good setting for the type of hard story that Abercrombie writes. Shattered Sea — (2014-2015) Publisher: “I swore an oath to avenge the death of my father. I may be half a man, but I swore a whole oath.” Prince Yarvi has vowed to regain a throne he never wanted. But first he must survive cruelty, chains, and the bitter waters of the Shattered Sea. And he must do it all with only one good hand. The deceived will become the deceiver. Born a weakling in the eyes of his father, Yarvi is alone in a world where a strong arm and a cold heart rule. He cannot grip a shield or swing an axe, so he must sharpen his mind to a deadly edge. The betrayed will become the betrayer. 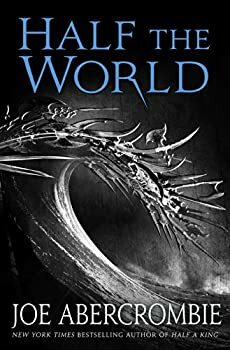 Gathering a strange fellowship of the outcast and the lost, he finds they can do more to help him become the man he needs to be than any court of nobles could. Will the usurped become the usurper? But even with loyal friends at his side, Yarvi finds his path may end as it began—in twists, and traps, and tragedy. What happens when you are born crippled in a medieval world? What if your physical impairment is sufficient to leave you always at a disadvantage to others? How do you survive? 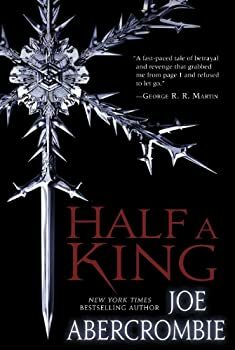 In Half a King, the first book of Joe Abercrombie’s SHATTERED SEA series, those questions are answered in exciting and realistic ways. Yarvi is a Prince of the ruling family of Gettland, one of the nations that surround the Shattered Sea. He has found his niche studying to become a Minister, a quasi-monk adviser to the ruler. His brilliant mind makes up for the half-formed arm and hand that he was born with. As the son of King Uthrik and with a strong, physically capable older brother, Yarvi won’t need to rely on the traditional sources of martial prowess to survive.